Accent Your Body - Accent XL is a clinically proven "powerhouse"-producing results time and time again. This revolutionary medical regimen uses advanced radio frequency(RF) technology to treat wrinkles, cellulite, and fat deposits non-invasively. This safe and effective treatment literally melts fat away and tightens skin from head to toe! Multiple clinical studies and thousands of satisfied patients have proven the Accent treatment's effectiveness in tightening loose skin, promoting healthy collagen production and improving body contours. ArqueDerma Artistic Restoration Lift - Pronounced ‘ARC DERMA’, Arque Derma™ is a blend of two words. The name ArqueDerma™ imparts a beautiful mix of the artistic, ‘Arque’ (classical architecture – arches, buttresses, and more), and medical, ‘Derma’- the Latin meaning for skin. ArqueDerma™ Artistic Restoration Lift™ delivers FDA approved dermal fillers (Juvederm® and Restylane®) in a completely new, patent-pending methodology developed by Leslie Fletcher, RN, MEP-C. She developed this revolutionary technique over the last ten years through her work as an injector trainer and an injector. Using precepts found in physics and architectural engineering, the ArqueDerma™ technique utilizes 40% less filler to achieve unprecedented outcomes while providing longer lasting results (up to 6 months longer than conventional methods of filling). ArqueDerma™ Artistic Restoration Lift™ provides natural, more dramatic results not achievable using conventional filler techniques offered by other clinics. Artistically using the ArqueDerma™ technique, your clinician collects excess facial volume that has dropped and shifted, and redirects it creating a more youthful, esthetically-pleasing look…a look that dramatically embellishes and lifts the veil to your natural beauty. 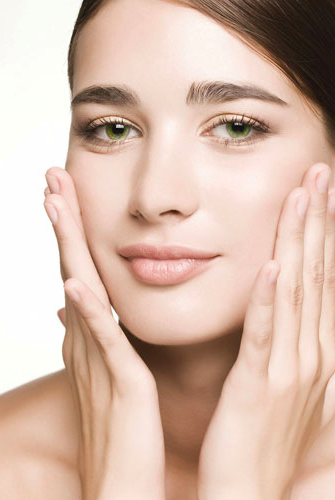 Botox Cosmetic - A quick and minimally invasive procedure. The doctor makes a few tiny injections into the muscles that cause moderate to severe frown lines. **Join the Brilliant Distinctions Program to earn cash back towards your next treatment! Candela GentleLASE - Laser treatments for hair removal on all skin types, pigmented lesions and melasma. Candela GentleYAG - Laser treatments for hair removal on all skin types, leg and facial veins, skin tightening and acne. Chemical Peels - Customized to your skin care needs. Dysport - A prescription injection for temporary improvement in the look of moderate to severe frown lines between the eyebrows in adults less than 65 years of age. Dermal Planing - Removes dead skin and fine vellus hair, breaks up discoloration, softens surface irregularities and tightens pores, giving the skin a smoother appearance. Juvederm & Juvederm XC - Everyone will notice but no one will know! Juvederm and Juvederm XC help replace the hyaluronic acid (ha) your skin has lost, adding volume to smooth away facial wrinkles and folds. **Join the Brilliant Distinctions Program to earn cash back towards your next treatment! Microdermabrasion - The most natural and non-invasive skin resurfacing process available today. It is well suited for patients with busy lifestyles because the only real down time is that of the treatment itself. Permanent Cosmetics - Great for people with busy lifestyles but little time to apply makeup, and for people with allergies to conventional makeup. Restylane Lyft - Natural looking volume and definition for your cheeks, and the correction of age-related midface contour deficiencies in patients over age 21. This is in addition to treating moderate-to-severe facial wrinkles and folds such as smile lines. Restylane Silk - For the lips you want and the lines you don’t! Restylane Silk is the first and only FDA approved product specifically designed for lip enhancement and the smoothing of wrinkles around the mouth. Skin Pen - Maximum results with little or no downtime. Skin Pen stimulates your skin’s natural ability to produce new collagen and elastin for healthier, younger-looking skin. Skin Pen accelerates this repair process by creating microscopic channels, which also allow products to penetrate into deeper layers of the skin. New collagen and elastin production can reverse years of sun damage, improve acne scars and enhance the overall appearance of aging skin. Skin Pen can be used on all parts of the body and is effective for scars, wrinkles, sun damage, uneven skin tone, stretch marks, lax skin, large pores and thin skin. SunFX Spray Tan - Sunless, safe and all natural tan in minutes. Waxing - Available on all parts of the body. Jane Iredale “The Skin Care Makeup” - Minerals will make your life simpler because they are a foundation, concealer, powder and sunscreen all in one. Products are hypoallergenic and dermatologist tested. Safe for even the most sensitive skin. Obagi - Physician dispensed, prescription strength skin care system that can actually transform your skin on the cellular level! NuFACE - The NuFACE Trinity is the first and only FDA-cleared, handheld multi-solution device. Known as the “5 Minute Facial-lift,” the NuFACE Trinity includes the Facial Trainer attachment that has been clinically proven for improved facial contour, skin tone and wrinkle reduction is as little as 5 minutes a day. Save My Face Pillow - Because of its unique filling and patented double crescent design, you can rest comfortably on either side, with your face gently elevated, removing harmful pressure from tissues and muscles. SkinCeuticals - A line of advanced skin care products designed to prevent future damage, protect healthy skin and correct previous damage. Supersmile Teeth Whitening Products - The finest, ultra premium total oral care resource available today. What’s more, it comprises the whitening system most often recommended by cosmetic dentists anywhere in the world. Voluspa Candles - Pure luxury, providing superior fragrance that lasts longer and is more concentrated than most other candles. ZO Medical and ZO Skin Health - The newest treatments and skin care line from Dr. Zein Obagi, with a total approach to treating and reversing virtually any skin condition. Click the box to go the online store! Ask about the Care Credit program, so you can get the cosmetic procedures and products you want, today!